Vera & John bring its players another round of the exciting tournaments, which are always full of surprises and prizes for the winners of such competitions. If you would like to enter one of such tournaments, then you must be a fully registered Vera&John member, but you can successfully do that by following the instructions that appear after selecting the sign up option. The casino will even credit your account with an amazing welcome bonus, provided that you make a first deposit, right after verifying your newly created profile. There are currently two tournaments hosted by the Vera & John casino right now: the Reel Big Wins and the Weekend in Paris. The first comes with a massive prize pool worth a total of €5000, while the latter – a €1000 prize pool. The Reel Big Wins tournament features such games as “Sakura Fortune” and “Joker Strike”. The Weekend in Paris tournament on the other hand, has selected some of the best live dealer games: Live Baccarat, Live Blackjack, and Live Roulette – all of which are popular versions of the Paris gambling collection. 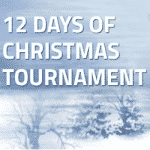 Payouts will go to the top 100 players, or in the case of the Paris tournament – to the top 10 winners. You can play, enjoy the multiple features of some astounding online games, and simultaneously track your progress by viewing the scores on the leaderboards, so that you can be certain what type of reward you will be granted at the end of each of those competitions. Casino Vera & John has always been a great source of this entertainment, and now all the regular customers of its lounge, are not only able to play fabulous online games like slots or the live table games, but also win spectacular cash prizes too. Rest assured that there is going to be many more promotions like this one, so if you would like to remain vigilant, and be up to date with the most recent events, then join the Vera&John mailer, with all the information delivered straight to your inbox.